It was a wonderful meeting that we had with Mr.Subodh Kumar IAS, Municipal Commissioner of Mumbai at the Rotary Club organised event on 29/03/2012. We congratulate Commissioner Sir for the excellent management and control of the commercial capital of India. He is a great asset to the city. — with Ark Pillai and Aunali Rupani at The Club. The "Aadhaar" of India !!! It was indeed a great honour to meet Mr.Nandan Nilekani, Chairman of the Unique Identification Authority of India (UIDAI) at the Innovation for India Awards 2012 organised by Marico Innovation Foundation at NCPA, Nariman Point, Mumbai on 30th March 2012. UIDAI received the Innovation Award 2012 for excellent innovation designed in India. The founder President of Indian Development Foundation, Dr.Ark Pillai distributing water to the walkers who are on the move to protect the Mother Earth. A Green Walk organised by Indian Development Foundation and Standard Chartered Bank. — with Ark Pillai at Mulund. Ms.Suja Chandran, IDF Social Ambassador represented IDF at the World TB Day 2012 event organised by Birkbeck University of London (24-03-12). Hearty congratulations to team IDF for the wonderful presentation. 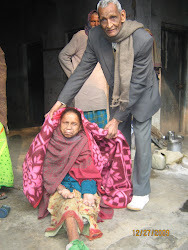 Special thanks to Dr.Sanjib Bhakta for making this possible and extending wonderful support. IDF is committed to stop TB. — with Sanjib Bhakta and Suja Chandran at Birkbeck, University of London. IDF Social Ambassador G.R. 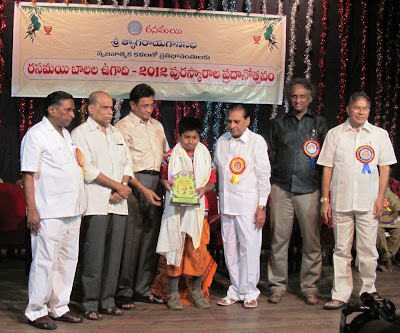 Shankersai was awarded with `UGADI PURASKAR AWARD' at Thiyagaraya Gana Sabha, Hyderabad, Andhra Pradesh on 25-03-2012. The Award was presented at the hands of Padmabhushan Shri Varaprasad, Chairman of the Sabha and Dr. M.K.Ramu, Director of Ramasayee Cultural Organisation, Hyderabad. IDF team congratulates the young social ambassador for his excellent contributions. M. Karunagaran, District Collector, Coimbatore, inaugurated the new building of TB Ward at Coimbatore Medical College and Hospital at a programme organised to mark World Tuberculosis Day. Students from various schools and Government nursing college took part in the rally organised by India Development Foundation. R. Vimala, Dean of Coimbatore Medical College Hospital, M. Sakthivel, Deputy Director of Medical Services (TB) and F. Fredrick, Development Executive of Indian Development Foundation and D. Mano Ranjit Lad, were also present. The prize winners of essay competitions conducted by Indian Development Foundation were announced at the event. 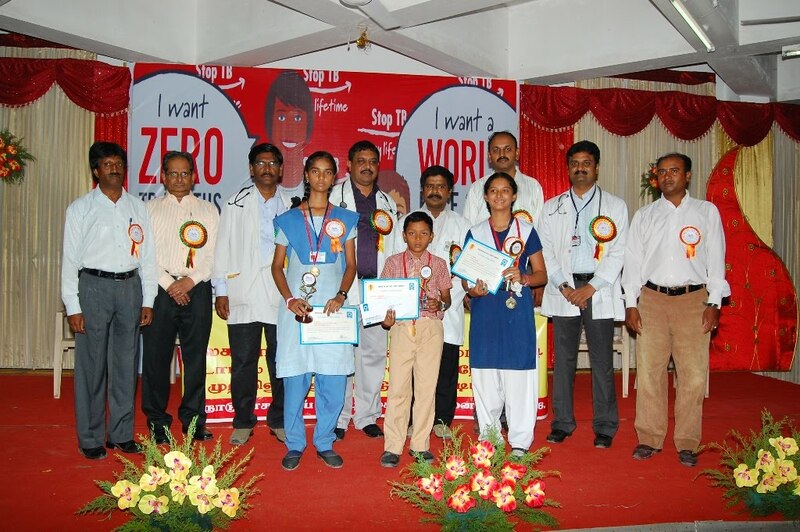 V. Subramani Raj, Consultant, World Health Organisation, awarded prizes to S. Sajma (first), Kendriya Vidyalaya Sulur, S. Dhanya(second), Shree Sowdeshwari Vidyalaya Matriculation Higher Secondary School, and S. Manikandan (third), Ruby Matriculation Higher Secondary School . CLICK : THE HINDU for complete news. 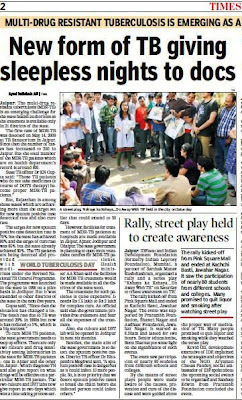 IDFnext and Indian Development Foundation (formerly Indian Leprosy Foundation), Mumbai, a partner of Sarthak Manav Kushthashram, organized a rally and a street play "Kshaya ka Kshaya...Do Away With TB" on Saturday to create awareness on TB. The rally kicked-off from Pink Square Mall and ended at Kachchi Basti, Jawahar Nagar. The event was supported by Prarambh Foundation, Shastri Nagar and Aadhaar Foundation, Jawahar Nagar. It started at 8.30am and lasted for two hours. Senior educationist, Renu Sharma put some light on the significance of such events. The event saw participation of nearly 80 students from different schools and colleges. By the means of street plays people were made aware of the causes, prevention and cure of the disease and were guided about the proper way of medication of TB. Many people promised to quit liquor and smoking while they watched the street play. Kovid Oli, development executive of IDF, explained the strategies and objectives of the NGO. Aryaman Chetas Pandey, social ambassador of IDF spoke about the upcoming social events to be organized and Sandeep Edwin from Prarambh Foundation concluded the event. CLICK : TIMES OF INDIA for complete news. 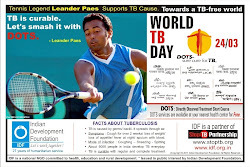 Indian Development Foundation jointly with Coimbatore Medical College Hospital, Coimbatore organized World TB Day at Coimbatore on 24th March 2012. TB awareness rally, speech and essay writing contests were organized during the occasion. 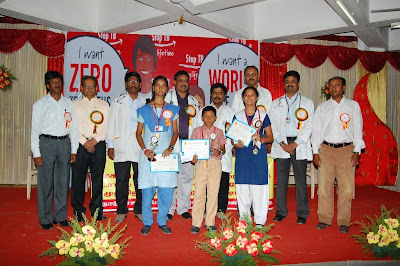 The District Collector and other dignitaries from the Medical College and various NGOs participated in the event. Mr. Mano Ranjit Lad and Mr. F. Fredrick from IDF co-ordinated the event. Indian Development Foundation in collaboration with GREMALTES Hospital organised a TB Awareness Rally at Marina Beach, Chennai on World TB Day, 24th March. Cine Star Y. Gee. Mahendran flagged off the rally from Light House in Chennai and walked along the crowd of nearly 1000 students and NCC volunteers who were gathered to support TB cause and spread awareness to the masses. The rally concluded at Labour Statue. 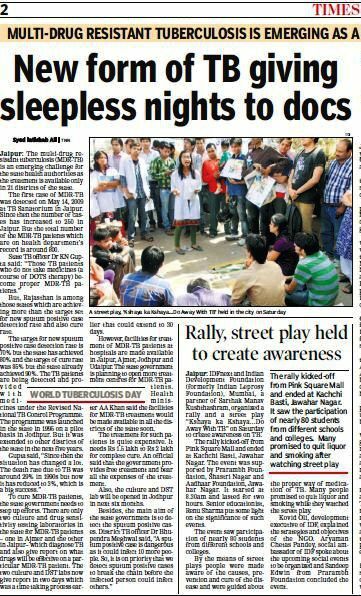 Students distributed posters which had the endorsement from Olympian and India's Ace Shooter Gagan Narang saying `Let's shoot out TB.....TB is curable". — in Chennai, Tamil Nadu. Indian Development Foundation in collaboration with Rotary Club of Mumbai North End organised a street play on TB at the Dr. R. N. Cooper Municipal Hospital in Mumbai on World TB Day, 24th March 2012. The street play, performed by Usodeum P erforming Arts team, was well designed to create an impact among the people and remove superstitious belief. Rotarians included - Dr. J. B. Vyas, Ramesh Kurup, J.B. Jain, Aunali Rupani, Sana Rupani, Ananya Save and many others joined IDF Social Ambassadors in distributing TB Awareness Posters to all those present at the venue. Mrs. Grace Pinto, Counsellor of the Medical unit of Rotary Club of Mumbai North End at Cooper Hospital, rendered an excellent support. The entire act of creating TB Awareness and the role of students in social causes were appreciated by Dr. Maya Wadgaonkar, Matron of the Hospital. Volunteers from DJ Sanghvi College of Engineering helped in the co-ordination. IDF TB Awareness - Street Play organised on Gudi Padwa (23/03) on the eve of World TB Day 2012 at Sai Nagar and Borsapada slums in Kandivali West, Mumbai. Team from Usodeum Performing Arts did an excellent job in creating massive awareness to the public in these two localities. Mr. Rajiv Desai from Pro+Fit supported the programme and appreciated the work of Indian Development Foundation. IDF team organised a Mass TB Awareness on the eve of World TB Day at Juhu Beach, Mumbai on 23-03-2012. The awareness message was well received by the visitors and general crowd. Dr.Narayan Iyer and Dr. Sharad Nayampally addressed the audience and it was widely covered by Doordarshan. The performers from Usodeum Performing Arts did an excellent impact of awareness among the masses. Indian Development Foundation launched World TB Day 2012 massive TB awareness programmes by organising street plays at important public points in Mumbai on 21-03-2012. 1) Students from various Malwani Schools and Clean Champions participated in the event. 2) Ambujwadi, slum pocket in Malwani, Malad west, Mumbai. 3) Vivek Vidyalaya & Jr. College, Goregaon West, Mumbai and 4) Nehru Nagar slum pocket in Vile Parle west, Mumbai. The special team from Usodeum Performing Arts did an excellent job in disseminating information on TB to the masses which was well-received by the public at large. 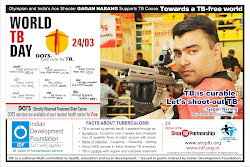 IDF team distributed specially designed bookmarks on TB and the Multi-lingual TB Awareness Poster with Olympian Gagan Narang's endorsement to stop TB `Let's shoot-out TB', to several thousand participants. IDF is committed to stop TB. Let's work together to stop TB. IDF promotes Goodness Unlimited !!! The students of Sudhagad Educational Trust's Secondary School at Chindran, Panvel, Maharashtra are all smiles and extremely happy as they receive the basic facilities for their school viz., water, sanitation and electricity......IDF runs Tilak Bal Gurukul in this school and students perform exceeding well in their academics scoring 90%+ marks........IDF wishes to express sincere gratitude to Varun Industries Ltd. team for extending wonderful support in providing basic facilities to the school under their CSR programme.....IDF is committed to bring smiles on many lives. 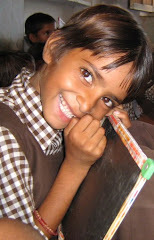 :-) Educate a child...Enrich your life !! !